Complete network and system design and deployment. 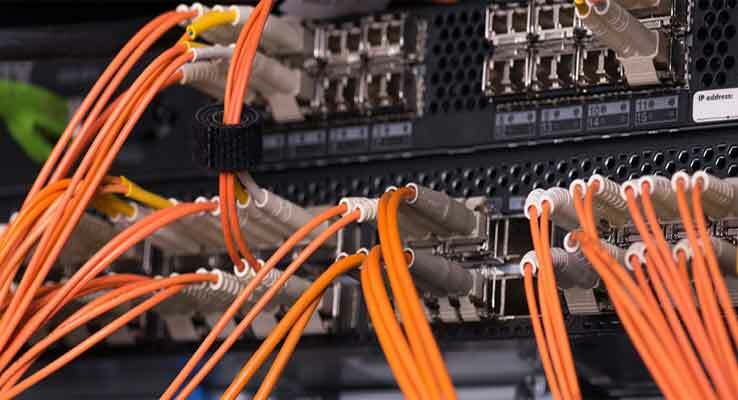 Complete services for design, placement and testing of structured cabling. New phone systems, troubleshoot and repair existing systems. Financial, health care, real estate, retail, wholesale, educational. New custom built computers, servers, workstations and repair on all makes and models. Services for manufacturing, processing, production in all types of industrial environments. Fiber optic cable placement, installation, testing and turn up. CAD workstations, servers, printers plotters. 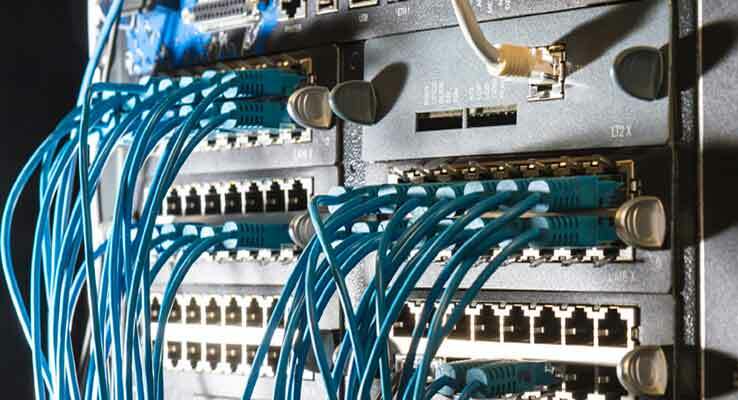 Full range of network equipment. Why choose Sleek Communications, Inc.? We have been in business in the same location in Brookhaven, Mississippi since 1999. With over 35 years experience in communications and technology Sleek Communications, Inc. professional staff is well equipped to provide quality professional technology services for your business. We take great pride in our work and delivering to the customer solutions that fit any size project and budget. At Sleekcom we make technology work for you; not you work for technology. An encryption virus is a monetary exploit. When the virus is launched it searches your hard drive for several different file types. Pictures, Office documents and database files are primary targets. The virus then uses strong legitimate file encryption to "scramble" your files to an unreadable state. The only way to unscramble the files is to have the encryption key. This key is held by the controller of the virus, and they demand you pay from $300 to $500 for the key. Of course you never speak to these people and just by the nature of what they do, even if you pay the money there is no guarantee you will receive the key or that it will even work to decrypt your files. Because the virus uses legitimate file encryption, it is very difficult or almost impossible to decrypt your files. There are a few companies that are successful with decryption, but this is an expensive process and not always successful. This virus also finds shared directories on other machines and will encrypt all files on those shared or mapped drives in addition to your local hard drive. Other than the ominous, one now even uses speech through your speakers, notice and demand for payment, the virus doesn't affect the normal operation of your machine. Most antivirus programs are only about 30% to 50% effective in preventing infections. The encryption virus seems to be able to circumvent most antivirus programs. The best prevention is user awareness. Don't open emails from unknown sources. Do not open attachments unless you are positive of the sender and of the contents of the attachment. Sleekcom recommends you use a comprehensive backup method to backup your data files. We advise using a multi-layer backup including a local backup and a remote or off site backup that is isolated from your computer. We also recommend maintaining at least several days, or even weeks of backup sets. Because this virus uses legitimate encryption, most backup systems will backup the encrypted files. It possibly could be several days before you realize you have been infected. If your backup only keeps a couple of days of backup and overwrites as it backs up, you could end up with encrypted backup files as well. If you think you might be infected or are experience problems with your computer or business network, give us a call and we can help. If you receive a phone call from someone claiming to be with Windows or Microsoft stating they have recorded unusual activity from your computer, hang up. These scammers will request access to your computer by getting you to visit a website and download remote access software. Of course the prices they quote for "cleaning" your computer range anywhere from $90 to $400. Once you give them access to your computer, within seconds they have access to any personal or private information you many have stored on your computer. We had a customer come in recently that had their identity, medical records and personal information stolen in this manner. Unless you know the person or company you are dealing with NEVER, under any circumstances, download software they request you to or give them any information. Sleek Communications services all brands and types of computers. Give us a call and let us help you get your machine back running smoothly, safely and speedy. Click below open webmail in a new window.